A faulty Tyre Pressure Monitoring System (TPMS) is now an automatic MOT fail and is already catching many motorists unaware. 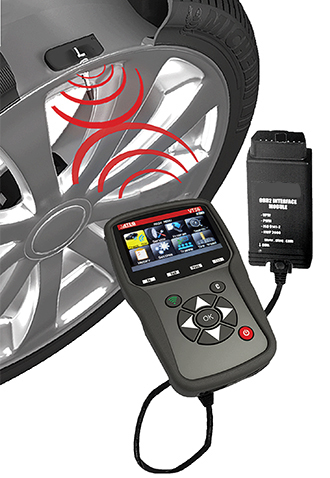 Tyres Assist now offer a comprehensive TPMS diagnostic, reprogramming and replacement service. All makes and models are covered and our service is available at a fraction of the prices charged by main dealers. Please call us on 0161 764 5511 for further details. In addition to our extremely popular mobile tyre fitting and puncture repair service, Tyres Assist are pleased to announce the launch of our Roadside Breakdown Assistance for car and light commercial vehicles in association with Mason Booth Commercials. 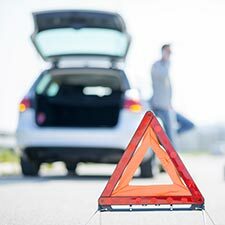 Tyres Assist now offer a convenient emergency roadside repair service in Bury and the surrounding areas for your punctured tyre. Simply contact Tyres Assist on 0161 764 5511 and we'll come to you, repair* your puncture and have you mobile again in no time for only £10.00 plus our standard callout fee. Flexible and convenient, we offer mobile fitting appointments 24 hours a day, 7 days a week to work around your busy schedule or simply call in at our fitting centre in Bury Lancashire. "Being an airport transfer business I have tyres from these guys all the time great prices , good advice and super professional , highly recommend"
"Sorted my tyres today after messing with national tyres and ATS Euromaster who are a joke! Wish I just came here in the first place, honest and great prices will 100% use these again! Top drawer!" "Went two months ago for two new tyres after ordering online, got a call saying the tyres I ordered weren't in stock but they offered a better option at same price. I was extremely pleased with this. When I came to get them fitted, I got advised my brakes would need replacing, but I still had some two months before this was necessary, and have now booked in for these new brakes. Seem really honest and reliable, I'm really impressed by the service I get"
"Had a puncture in the tyre, phoned tyres assist and they were immediately welcoming and helpful. Ordered a replacement tyre right away, gave good advice so I could continue to drive. I came back when the tyre arrived to fit the replacement and they did it for me right away, and upon receiving the invoice was shocked at how fair the price was! 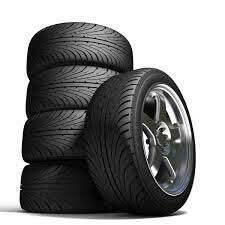 Steer clear of franchised competitors and call tyres assist for your vehicle needs, great guys and top service"
"***** Brilliant service!! Thank you so much for coming to my rescue today and such great value too!" "***** Fantastic service, amazing value. I would never go anywhere else for tyres again. Thanks"
"Took my wifes Mercedes Benz A150 to Tyres Assist for a tyre check prior to a motoring holiday. I was advised the front tyres were legal but quite low. The rears although having plenty of tread were beginning to show signs of cracking-these were the original tyres from the car being new (2008).They recommended the above tyres and I had 4 fitted at a cost of �182.16p.. In June we did 1K on the old tyres and the car returned 38mpg in town and 44mpg motorway driving. In Sept on the new tyres again 1K in 2 weeks the return was 44mpg in town and 50mpg on motorways. very pleased with Tyres Assist and their choice of tyre!" "From selecting 4 new tyres ,advice on which manufacturer to choose,to actual fitting in record time EXCELLENT. This fitting team could have been from the pit lane at F1. Can't speak highly enough about the whole experience,keep up the good work lads you beat the national opposition hands down."